QualitySolicitors Knight Polson is part of a national network of law firms that are dedicated to excellent customer service. We offer expert legal advice to individuals and businesses in and around Hampshire for whatever their life needs. At the heart of everything we do is ensuring we care for every client. You always talk directly with your solicitor – not an army of message-takers. If you have a question, it is never an inconvenience. ‘No hidden costs’ means no nasty surprises when your matter is resolved. And we only use plain and simple English because the law is complex enough. 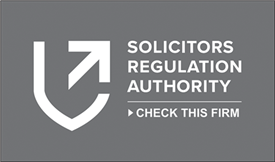 QualitySolicitors Knight Polson is proud to be a part of the leading household name for legal services in the UK. With 200 high street locations – and growing – it is comforting to know QualitySolicitors Knight Polson is just around the corner. Find out about our friendly, professional legal experts. Keep up to date with our recent updates. At all times my sisters and I were given a first class service on all matters relating to our mother's estate. Mrs Russell provided a most professional service through out, whilst also being sympathetic to both my sister and me at our time of loss. Because of the excellent and comprehensive service we received, it has made it simple and stress free to navigate the probate process, especially with the added complication of there being no will. 100% professional; always clear and easy to understand documentation; helpful and courteous. I felt completely confident that I was in safe hands. An excellent service given with understanding and kindness, thank you. Daniel was efficient, competent, speedy and courteous at all times and in my opinion is the equivalent of an executive that any employer would want to hang on to. I'm also grateful to you for the friendly and professional manner in which your firm has dealt with my late fathers estate, you've made things very easy for my sister and I.
Emilie was great, really helpful and explained everything to me. The National Minimum Wage and National Living Wage for workers is set to increase from 1st April 2019. In response to the recommendations made by the Taylor Review of Modern Working Practices, new laws will be coming into effect on 6th April 2019 to ensure that workers have the right to be given itemised payslips for the work that they perform.